The risk management marketplace and online exhibition area. Change the way you manage your business. Improve the enterprise risk information to improve your business decision making process. Increasing live business and economy analysis programming. Online live business meetings with business leaders and commentators. Using business enterprise risk management tools to help inform business leaders. Pushing the boundaries with pioneering new formats to reach more people in UK and beyond. Connecting with business leaders and entrepreneurs around the world. Live video streaming for business will help identify assess and control corporate enterprise risks. Looking for online business reporters and Citizen Journalists to expand the pool of providers to this online channel. Communicate online to a broader range of consumer audience and business key decision makers. Take control of the news on the streets online. Play your part in the process of collecting reporting analysing and disseminating news and information locally and globally. Use your own equipment social media accounts and ideas. Spread the latest information real news and own insight. Report the facts your opinions and your conclusions independent of traditional news outlets. 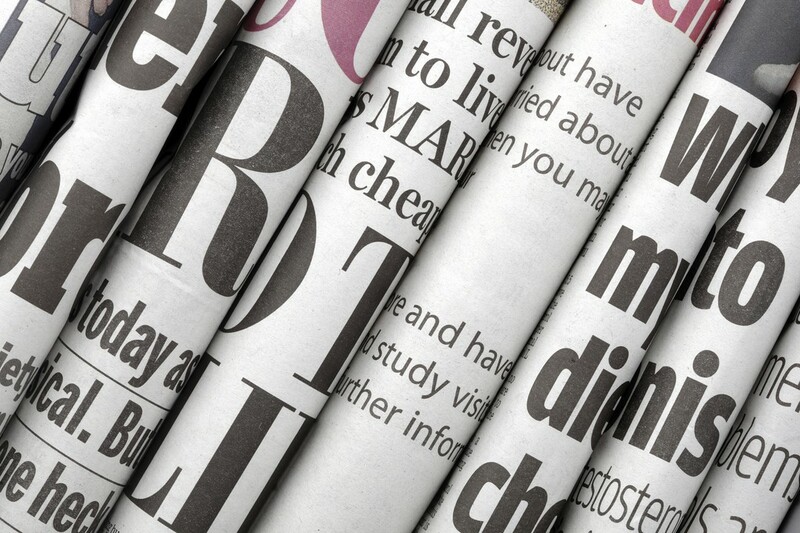 Use a range of digital media to present a new style of journalism online. Take an active role in creating the news and critiquing local and world events. Seize the opportunity as an amateur journalist to spread the word. Breaking news stories and features updated and published here. Come back for more news opinions debates and business reviews. You can receive breaking news reports and features on your smartphone tablet pc or TV. You can also follow @ERMuk on Twitter to get the latest news views and reviews. SME business thinktank on business growth and development. Entrepreneurs and business leaders developing new income more profitably. Focus on reducing costs increasing productivity and maximising profit for small to medium sized businesses in the UK. 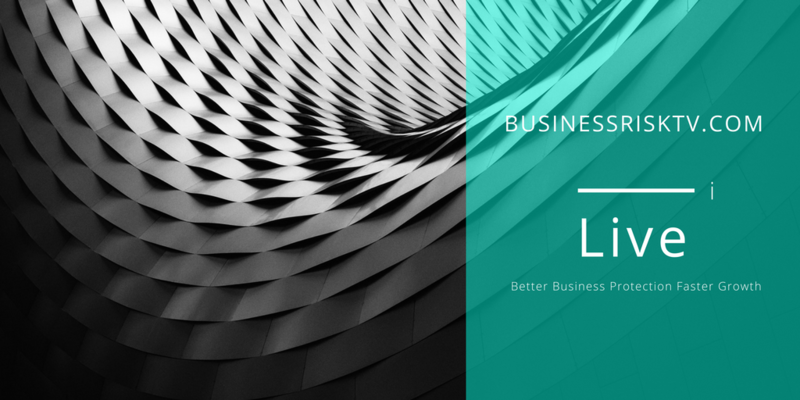 Join our interactive business think tank to network with business leaders to grow your business faster. UK economic growth 2018 started more slowly than end of 2017. The UK economy news is normally weaker at the beginning of the calendar year. Most of the UKs economic growth comes as the calendar year progresses. Mr Mark Carney the head of the Bank of England says poor UK economic activity at the beginning of the calendar year 2018 was due to the weather and not UK economic climate. In addition Mr Carney reports that all slack in the UK economy has been taken up and this is likely to push up UK prices and UK inflation. With very high levels of employment low levels of unemployment and a million plus job vacancies unfilled it is more likely that wages will increase faster. UK employers will need to pay more to attract candidates and to keep existing staff. Mr Carney paints a rosier future for the UK economy in 2018 with downside risks including global international trade war. UK interest rates more likely to rise later this year and this should boost value of the UK pound. Not just shops! Just shopping on the High Street is no longer enough for the consumer nor the High Street. We have to be a bit smarter more innovative and put into action a more radical approach to delivering what people want from the High Street now. The High Street will become a bigger part of the community not less if we work at building a better future for the High Street in UK. Retail experts have a role to play on the High Street in the UK. They need to be a bit more imaginative creative and innovative to deliver a High Street fit for the future. Selling stuff is no longer enough. Entrepreneurial retailers will sell experiences night and day. The notice of the Death of the High Street is premature! Are you interested in retail business? Want free tips advice and support to grow your retail business faster? Want the latest retail news discussion debate and product reviews? Need to market your retail business more profitably? 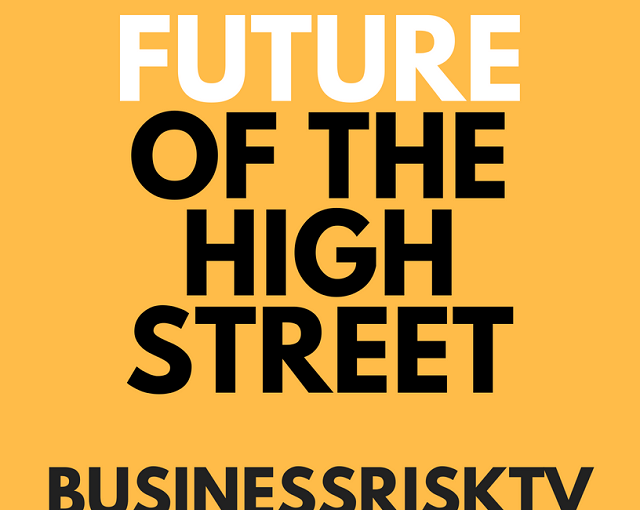 Seeing the death of the High Street in UK or does the High Street have a new brighter better future? Breaking personal finance corporate company financial and global economic news. Risk insight and business analysis into UK and global markets. 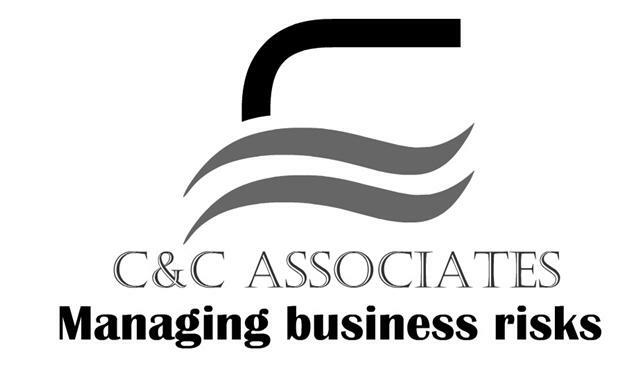 Keep up to date with latest business stories. Read the latest news and watch coverage on company news. 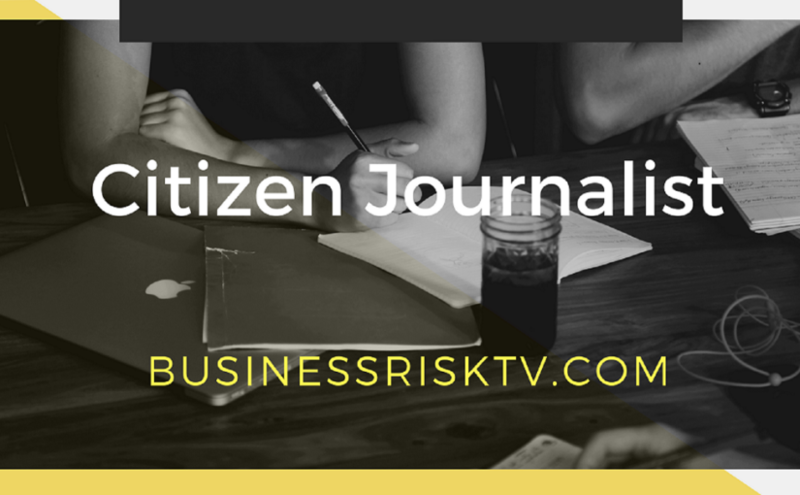 View images videos and more on business news on BusinessRiskTV. 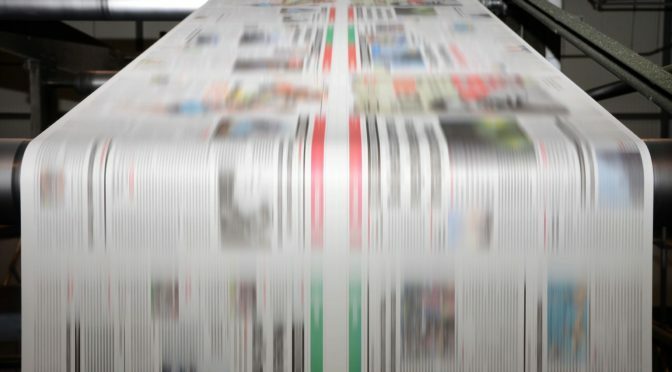 The corporate risks behind the latest news headlines put under the spotlight to identify the lessons business leaders need to learn to protect their own business. Grow faster with less uncertainty about risks on horizon or here right now. In order to move forward we must look back. If we want to create a better future for our businesses we need to learn the lessons from the mistakes of the past. Learn how to use past mistakes to make business better. Undertake risk reviews to check what went wrong and why. Develop real risk insight to build your business intelligence. Often we learn more from failure than success. Ultimate business performance can be higher after lessons learnt. Not reviewing risk management errors condemns you to repeating them. Transform your business on back of past mistakes. Your past mistakes can be the foundation of your future success. However do not dwell on past mistakes. Learn lessons move on but do not keep picking wounds. Collaborate with business leaders around world. Learn lessons from their mistakes and from businesses not in the collaboration. Review business mistakes so we do not suffer same fate. Practical ways to manage risk better. 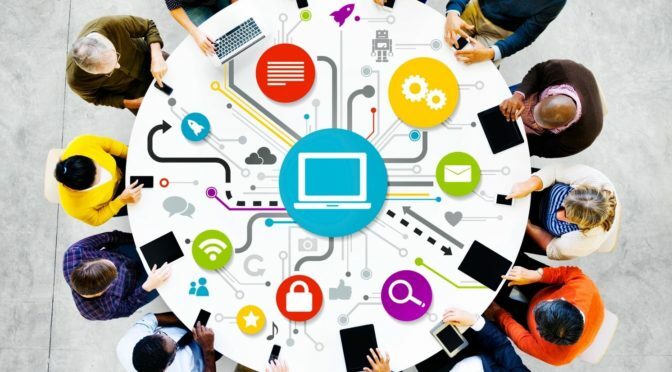 Tackle common business risks holistically enterprise wide. Learn best practice risk management techniques in business. External or internal driven risks threaten your business. They also create new business development opportunities. Reducing the effect of uncertainty on your business is important. 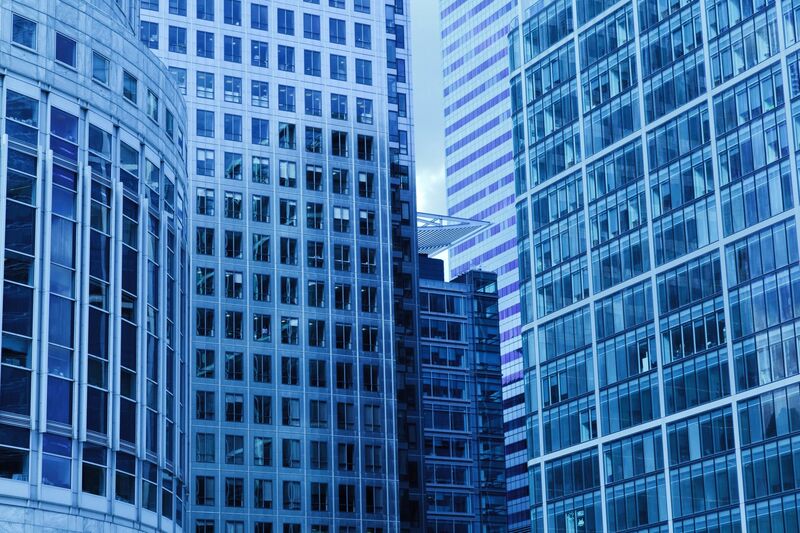 How do you manage enterprise risks? Do you put risk into different silos like safety, insurance, cyber risk, sales strategy etc? They can be rolled into one holistic risk based approach. What is the most effective way for a business to manage risk? Look at what you are trying to achieve? Could you achieve more with your existing assets? Has good luck been saving you from disaster? Understand the bigger picture first. When you know what risk you have then manage it. There is danger being in business. Danger that you could blow your value. Danger you could under perform. Campaign for better manage of enterprise risks. Join the discussion on business risk management for free from your twitter account. Enterprise risk management articles. Latest news opinions and product and service reviews. Engage with your peers. Ask the experts for help to overcome your risk management problems. Read more and watch more videos online. Develop your risk knowledge to improve business performance. 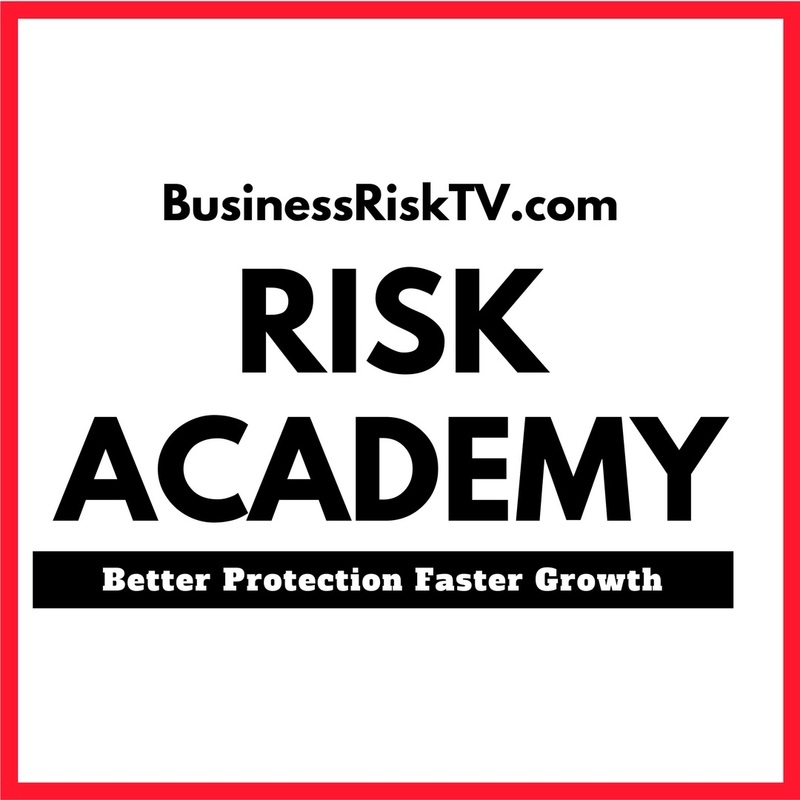 Sign up to BusinessRiskTV.com for alerts to latest in business risk management. 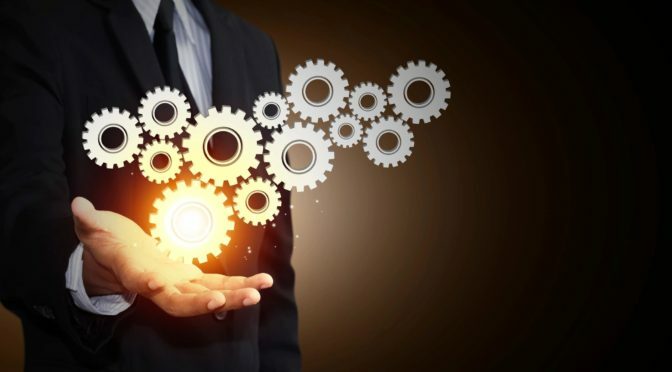 Upgrade your framework for implementing risk management. Pick up more information on designing the risk management framework that supports your risk management process. Define your risk management framework for supporting enterprise risk management principles and practices. 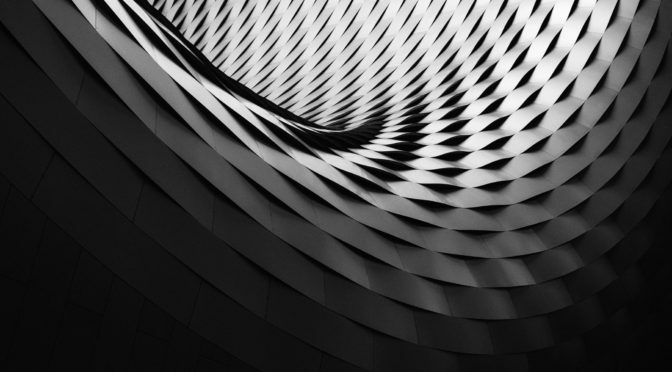 If you have the mandate and commitment for enterprise risk management from the top of your organisation you can begin building the risk management framework to make the risk assessment process work well. You need to clearly define where you are now and where you want to be including the benefits you want from embarking on embedding enterprise risk management. What is the context or reasons for wanting to change the way you manage risks? 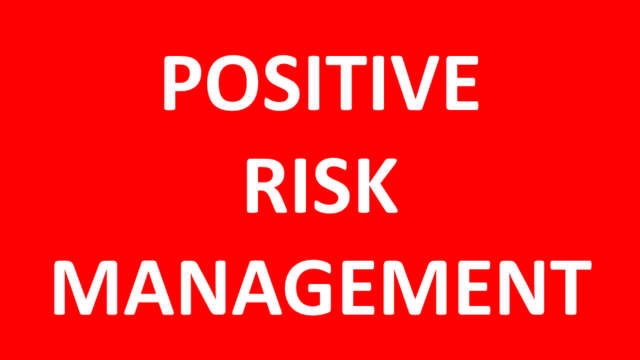 Develop you own risk management policy and communicate it to all stakeholders in the business. Work on what you need to do to embed enterprise risk management within your normal business decision making process. Constantly work at improving your risk management framework. Your risk management framework should clearly define how you are going to communicate your enterprise risk management policy and procedures. Key people in the enterprise risk management framework should have clearly defined roles and responsibilities to support the risk management process. Your risk management strategy should set out the objectives that risk management activities in the organisation are seeking to achieve. 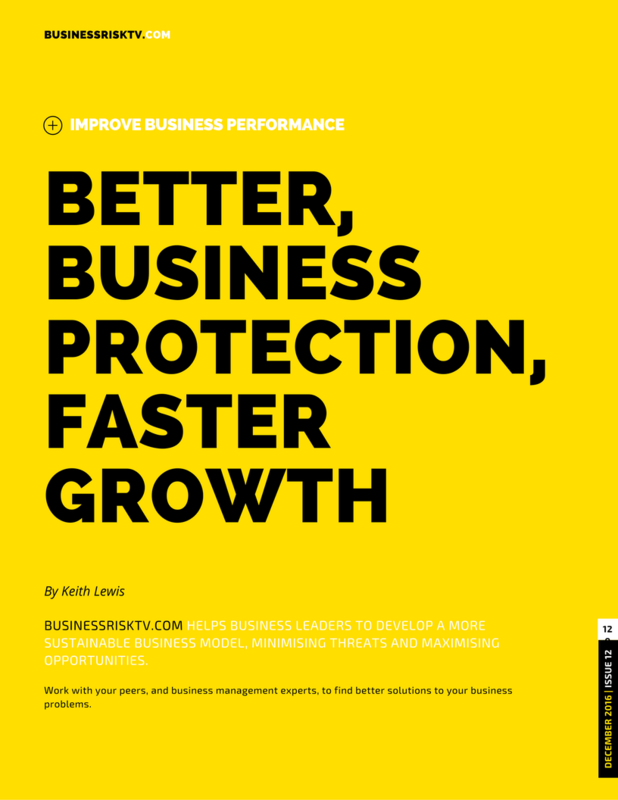 Helping you to protect your business better and grow faster more profitably. Will your strategy for business success fail or fail to achieve more? Analysing your business strengths weaknesses opportunities and threats will help you understand your business better and the marketplace within which you need to succeed. By identifying where you are now within the market will facilitate any assessment of the best strategies for future business success. Assess which new business opportunities will bring greatest reward from the same cost of capital and management time. Not only must you protect your business but you must explore the opportunity cost of not doing something that could bring greater rewards with the same cost. By getting the most from your money and time you can maximise the profitability of your business. 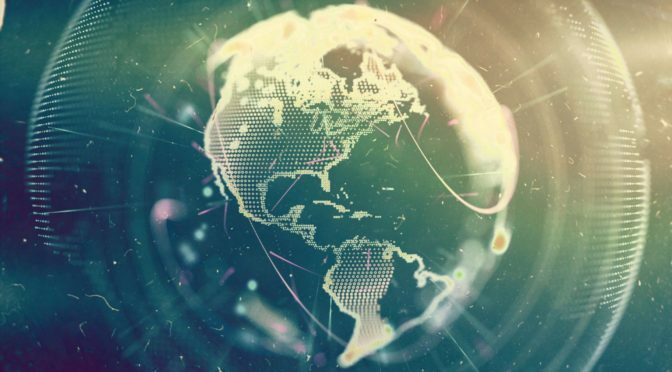 Understanding global risks is important for all business leaders. Identifying and assessing the global risks in 2018 is not a once a year task. Small smaller risks will combine to create an aggregate risk that could even threaten the survival of your business. Emerging risks not obvious at the time of the report, could subside and just be accepted or they could gather momentum and threaten business objectives. In addition the risks that could threaten some businesses could present an opportunity for your business to grow faster but if you miss the start of the opportunity you could miss the boat entirely or fail to maximise the potential rewards from the opportunity. 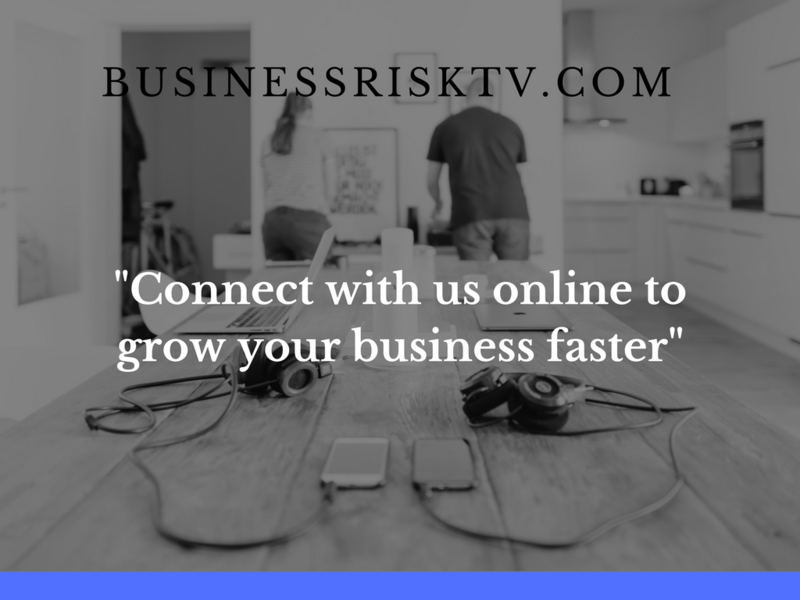 Unlike other less dynamic reporting systems companies or entitys BusinessRiskTV will provide you with regular risk reports to help you manage enterprise risks more proactively to mitigate threats to your business better and seize new business development opportunities earlier. 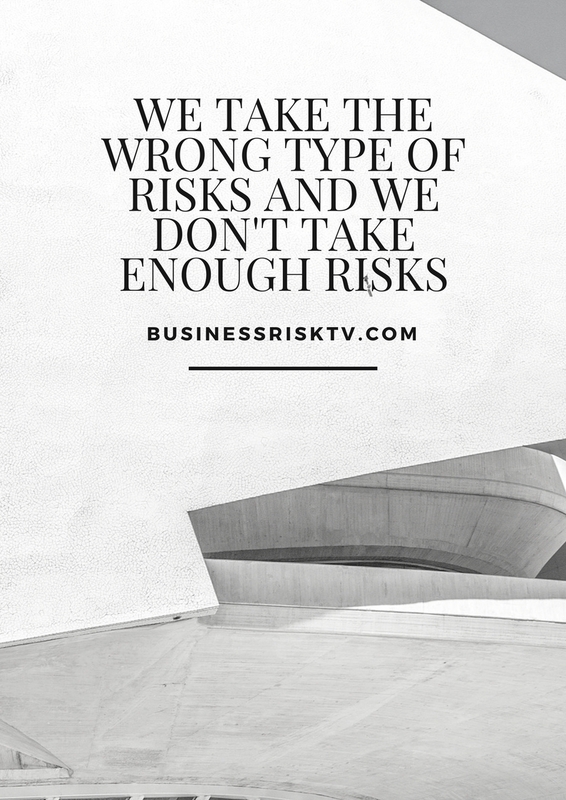 In short, BusinessRiskTV is less about looking back and offering expert risk reports with hindsight and more about looking forward with more dynamic forecasts backed up with practical risk management solutions for both the upside and downside aspects to global risks as it affects your business wherever you are in the world. BusinessRiskTT will reduce the effort required to identify what your business needs to do next after assessing the magnitude of the risk to your country or industry in easy to understand language. 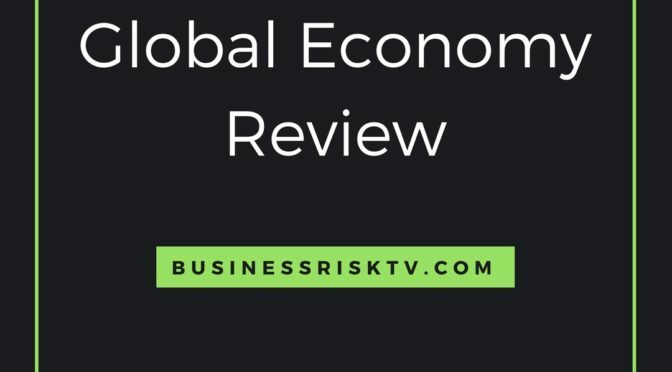 Subscribe to BusinessRiskTV Global Risk Report Service today and enter code #GLOBALRISKREPORTSUBSCRIPTION. Absolutely no one can state with absolute certainty what the impact of Brexit will be on UK economy. Most of the articles on the impact of Brexit are politically biased Leave or Remain as there is still a fight for the result of the real Brexit vote. Many reports including the ones from the CBI are also industry biased. The industry most likely though not guaranteed to suffer if and when the UK leaves the European Union EU will be the financial services industry. This particular industry could actually also be the main industry benefactor from Brexit too but a lot will depend on the end deal with the EU. Do not let the CBI the media or your mother dictate how you react to Brexit should it eventually happen. Deal with what you know for certain. The value of the UK pound has fallen against a basket of foreign currencies because the financial markets do not like uncertainty and it is highly uncertain if there will be a Brexit, and if it happens what kind of Brexit it will be. The UK certainly has a massive opportunity right now, never mind March 2019 or later to sell more overseas. Seize the day! The devaluation of the UK pound will remain as it is or devalue further over the next few years unless Brexit is stopped. This devaluation negates most of the trade tariffs that could be imposed by EU or are imposed by other non EU countries already. Don’t wait for tariff free agreements from wherever they might come. Tariff free agreements could become the cherry on top of the cake for UK international traders. Tariff free agreements could also boost the value of the pound and there will be no net benefit from the signing of tariff free agreement in terms of the cost of your products or services to overseas buyers from your business in UK. This is the time to sell more overseas not when free trade agreements have been signed if they ever get signed. Economic uncertainty has brought a massive opportunity as well as threat to UK businesses. Many UK business manufacturers have already exploited this perceived UK economy weakness to export more. If you want to concentrate your focus on the UK domestic market alone, then we wish you well. If you want to explore ways to sell more and export more from the UK then click here – and enter code UK EXPORTER when you complete form. Alternatively, complete the form below and enter same code. 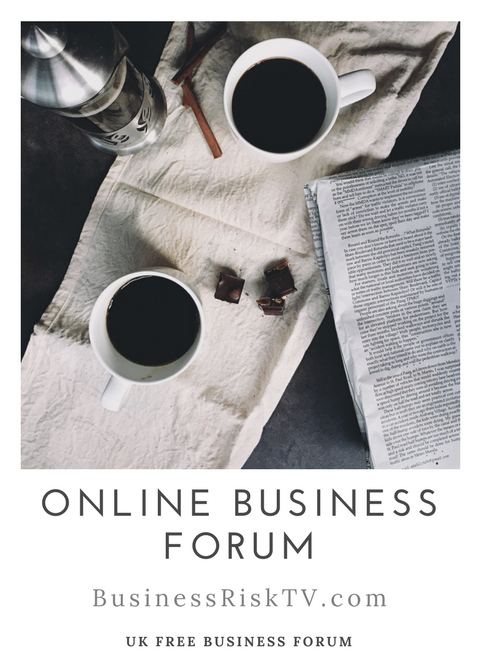 Small Business Ideas and Development Forum. Join our online forum wherever you are whatever your are doing from your phone pc mobile device or TV. 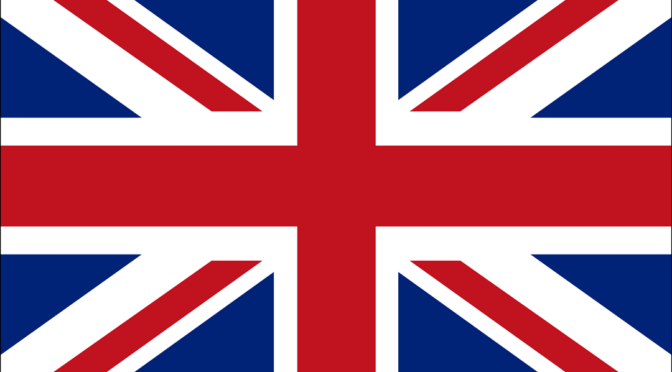 UK forums for small business owners managers and entrepreneurs in the UK. Share small business advice, experiences and business ideas, getting and giving business tips on how to protect your business better and grow it faster. Need advice about a certain issue surrounding your business? Get practical advice to overcome barriers to your business success. Sales expectations of SME factories in UK are near 3 year high due to strong global economy growth and low value of the pound. National Manufacturing Barometer survey has revealed manufacturing to be the fastest growing sector of Britain’s economy in the final quarter of 2017. 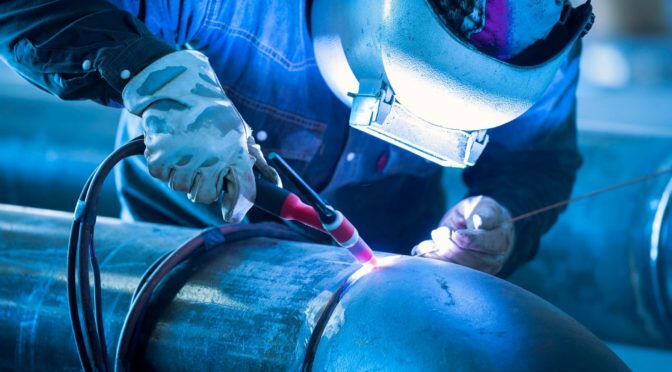 The survey also revealed that more than half of SME manufacturers plan to invest in plant and machinery over the next 6 months. SME manufacturers in UK are more confident in their prospects in 2018 than they were in 2017. 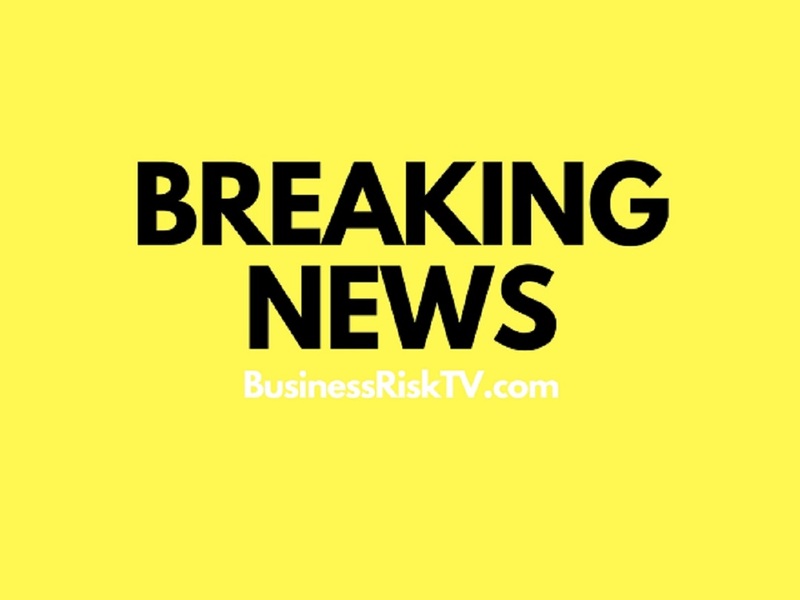 Latest BusinessRiskTV business news including breaking personal finance news corporate news financial news business and economic news. Get news debate and opinions for free. Expert business guides and expert business analysis for UK and global business leaders. 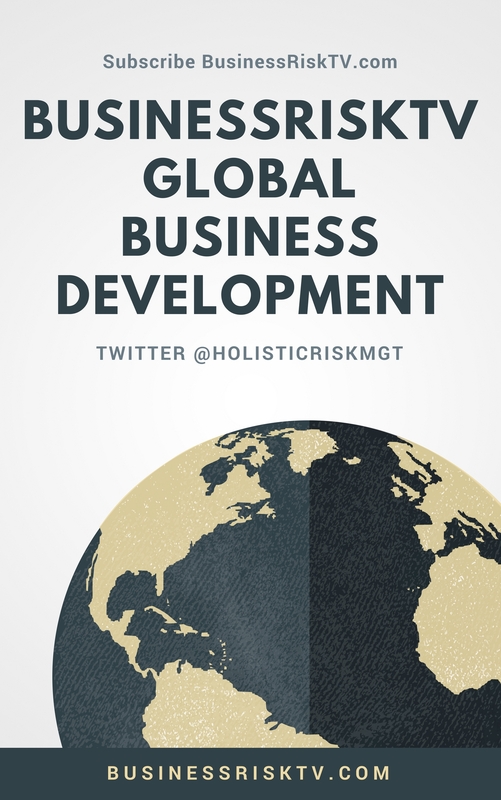 Up to the minute business reports on global business marketplace and world economy including risk analysis on how it could affect your business. Looking at the global business stories with business risk live TV online. 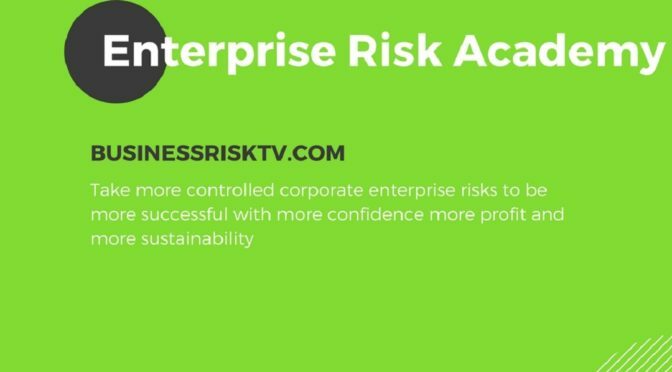 BusinessRiskTV helps nosiness identify and assess enterprise-wide risk exposure, and then manage it better. 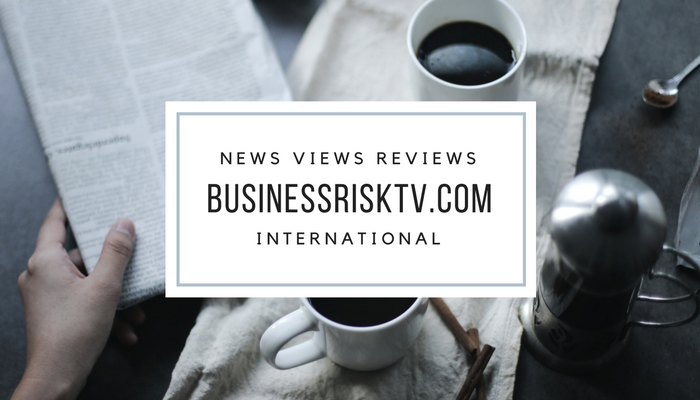 BusinessRiskTVs news and current affairs programme with original stories, exclusive interviews online audience debate and breaking business and lifestyle news. 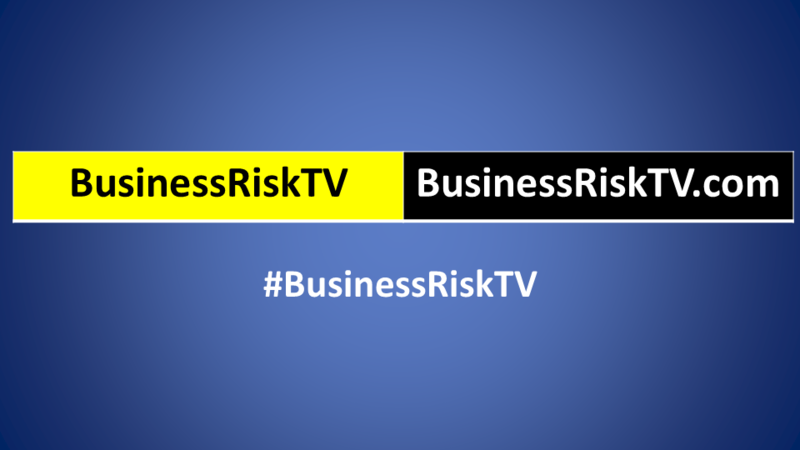 BusinessRiskTV with live coverage of business breaking news and lively debate on the big business issues of the day. 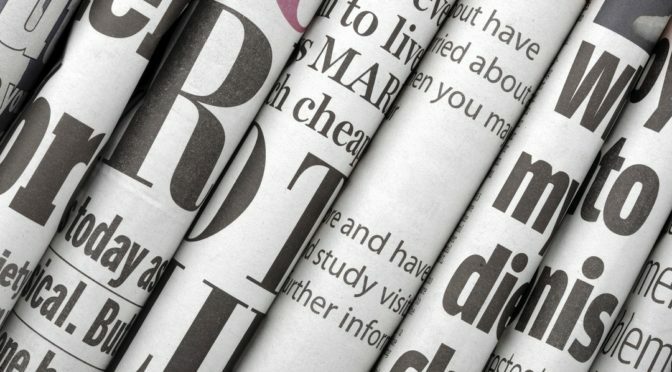 Stay up to date on the days top business and lifestyle stories with the latest breaking news as it happens. On our daily blog and vlog we provide live business and lifestyle news coverage of the latest events. Gain risk insight. 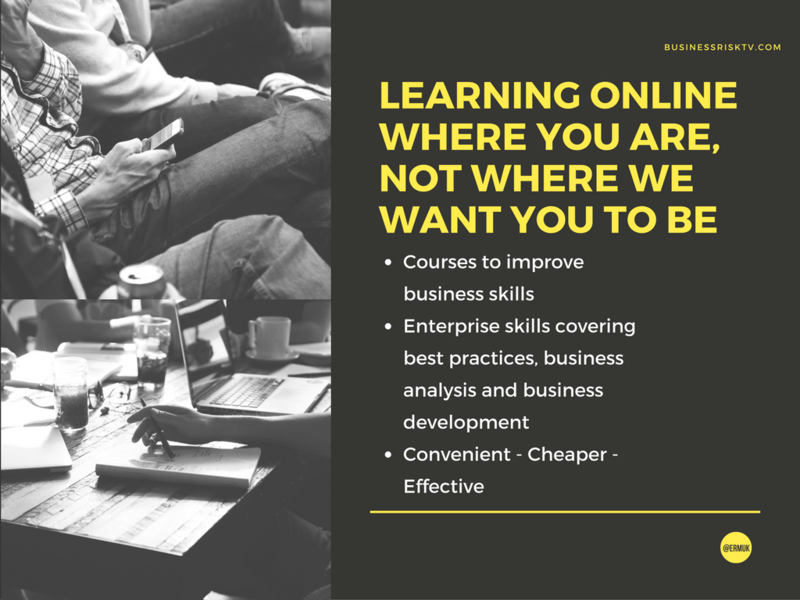 Develop your business knowledge. Tap into business intelligence including financial markets the global economy and corporate developments. React to business news and developing corporate issues. Watch business risk analysis from global business experts. Learn the top things you need to know about your personal finance and corporate financial news. Whats happening in the global economy that can affect your business objectives. Make your life and business decisions easier because you will be more informed. Collaborate with business risk experts around the world to manage business risks better. Keep up to date with the latest UK economy news and global economic outlook. Are you looking to grow your business more sustainably? 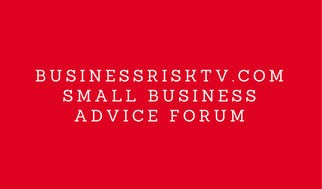 Pick up business tips and business growth advice with BusinessRiskTV. Achieve more with your existing business assets. Focus those assets on growing your business faster. Fulfil your business growth vision with less uncertainty. Unleash your potential growth. Become a faster growing UK business that doesn’t need extra capital to drive future success. We offer support and mentoring to develop a new business growth strategy for your business. Network with like minded business leader. If you have got a great story to tell we will be the megaphone to get you heard more often! Sell more to people and businesses on your doorstep and dip your toe into the export marketplace on the back of a low value pound which could be making your products and services more than 10 percent cheaper abroad. Access business intelligence guidance and risk management experts who can provide the business risk knowledge and experience to help you seize new business opportunities. Showcase your products and services to local buyers and overseas buyers. Expand your business into new markets. Make more of your local marketplace. Tell others how great your business is. Take part in business development workshops to mitigate business risks and improve business performance. Write about what you know – your business! By writing about your business products and services, you develop your brand and help potential new customers to understand why they should buy from you and not one of your competitors. 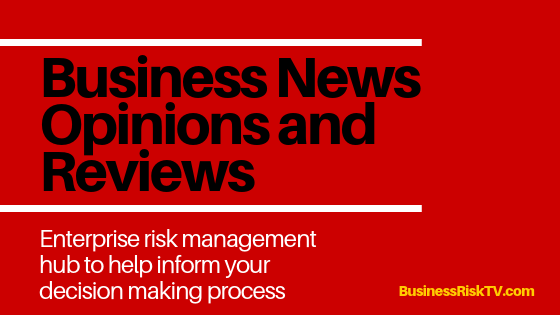 Inform your business decision making process with risk based articles. Watch business management videos online for free. See experts risk analysis for your country or industry. Develop your risk insight and business intelligence. Get help to achieve your ambitions for your business. London business thought leaders LIVE. 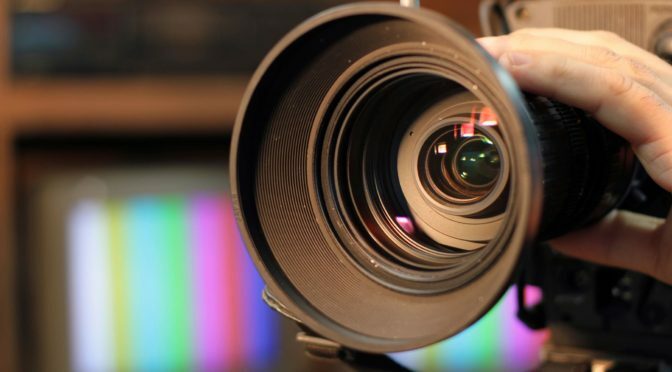 On Demand video streaming to help inform business decision making in London. Watch ways to enjoy life living and business in London. 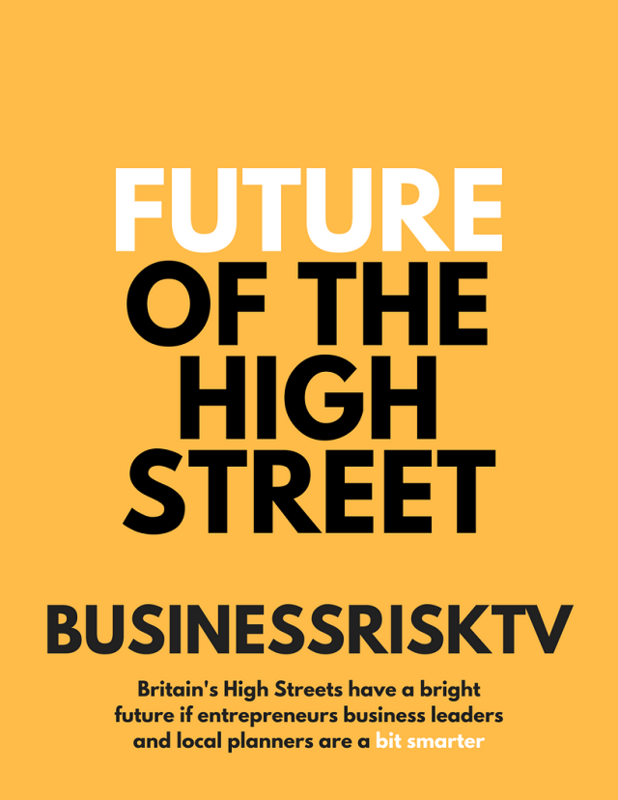 BusinessRiskTV London magazine TV providing latest London business and lifestyle news opinions and business reviews. Find a new job in London. Give your career in London a boost. Improve your lifestyle in London with a wage increase. Post a job vacancy in London. 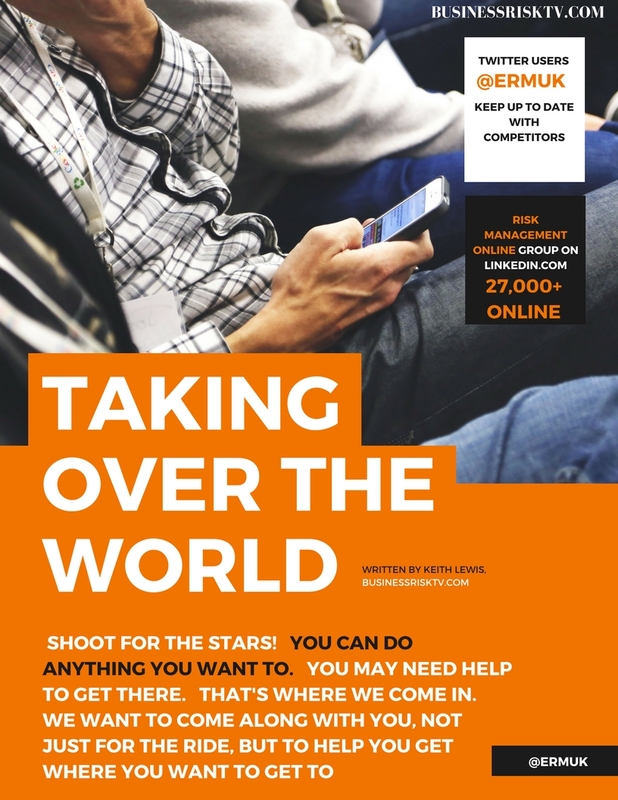 Fill the London skills gap faster cheaper and more profitably. What does Brexit mean for the UK Europe and Globally? 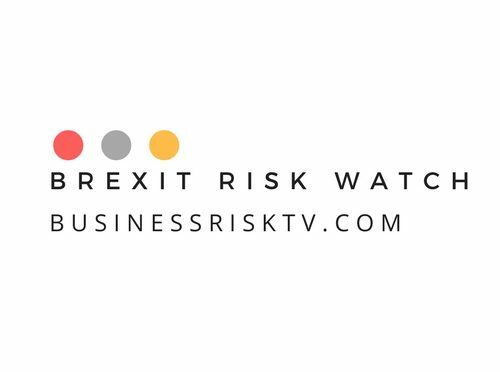 BusinessRiskTV presents the Brexit Risk Watch to identify assess and provide recommendations on the threats and opportunities to business from the Brexit vote in June 2016. Read our latest analysis on the consequences of Brexit. What is your Brexit risk assessment? How do you seize the opportunities a Brexit will present to your business? How do you mitigate the threats from Brexit? Only a careful, positive risk management approach will ensure that Brexit will work well for everybody in the UK. Brexit Risk Assessment for Small Medium Sized Businesses in UK. Come back for more Brexit news opinions debates and business risk reviews. You can receive Brexit Breaking News Reports and Features on your smartphone tablet pc or TV. Big 4 accountancy firm EY has reported that following its survey it found that Britain is the top place to invest in the world for the first time since EY started surveying investment market 10 years ago. The reason investment has hit a record high according to EY is the English language is the language of business and the UK has a highly skilled workforce together with expanding technology base. The low value of the UK pound has also made UK business cheap to invest in for overseas businesses keen to take advantage of undervalued UK businesses. MPs reject Theresa Mays EU withdrawal agreement by 344 votes to 286 a majority of 58. The UK is facing either a no deal Brexit on the 12th April or a long extension to Article 50 which will include the UK voting in EU elections in May. The Prime Minister and the UK government seem to be holding out hope that the deal on the table with the EU will get still get through before the 12th April. How this would happen is highly uncertain. The UK is entirely fragmented politically. Each fragment has hurried off to respective camps and are digging in instead of looking for compromise. Theresa May seems to have grabbed defeat from the jaws of victory after blaming UK MPs for Brexit logjam. Almost anything is now possible as the fragments of the UKs political community are resisting any coming together. UK parliament takes control over the Brexit process and before the EUs new deadline apply for and get a very long extension to Article 50 giving it time to put together a newer softer Brexit and or bring about a 2nd referendum on leaving the EU. Many now believe Mrs May will take the UK out with a no deal Brexit next week but whether she will be allowed to do that by the UK parliament remains to be seen. Brexit uncertainty has never been higher but next week it will continue to increase not reduce. Retailer Next says lower trade tariffs under no deal Brexit could save it 15 million pounds and allow Next to cut prices for shoppers in UK. Barclays bank Chairman John McFarlane says a no deal Brexit would significantly hurt the European Union economy and a deal on financial services between Britain and the EU is likely whatever form Brexit takes. He expects that trade would continue between the financial sector in London and the EU after Brexit. Yesterdays spanner in the Brexit process works by the Speaker of the House Of Commons has made it more likely that the UK Prime Ministers Brexit deal will somehow be approved. Where there is a will there is a way. If this is the case then the UK economy will be boosted. The boost will come from private investment and massive public spending Brexit dividend promised by UK Chancellor. The downside risk is that the boost to UK economy will also accelerate UK interest rate rises. The Brexiteers need to fall in behind the current Brexit deal or suffer no Brexit or softer Brexit. Theresa May will try third time to get her EU withdrawal deal through Parliament. She is hoping to win over more Brexiteers on basis that they if they do not back her Brexit deal they will endure at best a long delay on getting Brexit or not get Brexit at all. The UK government will at the very least need to ask the EU for a short delay on Brexit as there is not enough time to get Brexit through assuming Mays deal does get approval in the next week. Last night an updated motion to reject a no deal Brexit under any circumstances was passed by 321 to 278 a majority of 43. Whilst not legally binding it is clear that parliament will find a way to prevent no deal Brexit ever happening. Brexiteers realise they now face the likelihood of exiting the European Union EU via Mays Brexit deal on the table or softer Brexit like Norway Option or no Brexit. Which way will they jump in next week! Most UK imports by value will not attract a tariff in the event of a no deal Brexit. Tariffs would protect some industries including farm produce. Such a change in UK imports is likely to increase the competitiveness of non European Union imports compared to EU imports though most EU imports would also be tariff free. 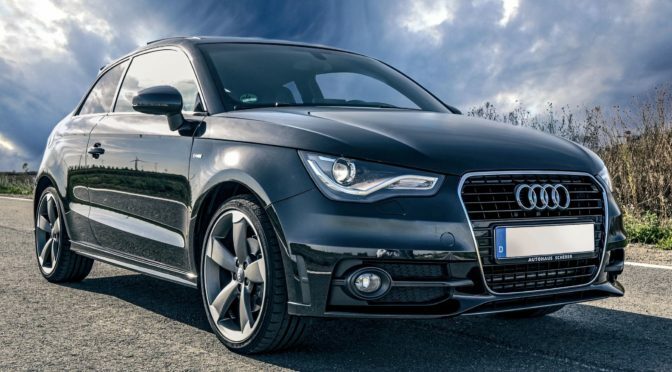 Tariffs on cars imported to UK would attract a 10 percent tariff though car parts would be tariff free. The UK government also announced that it will not introduce any new checks or controls or require customs declarations for nearly all goods moving from across the border from Ireland to Northern Ireland in the event the UK leaves the EU without a deal. European Commission President Jean Claude Juncker warned if the deal was voted down there was no third chance to change a deal that could be agreed by both parties. Hard line Brexiteers will not agree to anything short of no deal Brexit. Hard line Remainers will not agree to anything short of another referendum. It looks likely that the Second Meaningful Vote on the Brexit deal on the table will fall by less of a margin but how much of a margin is unclear. What is unclear is the long term ability for the UK to finally leave the European Union fully. Taking a balanced risk view of the short to long term the UK parliament should fulfil the decision of the British people to leave the European Union on the revised Brexit Deal. Should the UK legislators fail to vote to approve the Brexit deal the UK will be thrown into a crisis of government politics and business. Business leaders will not know whether the UK will ever leave the European Union or whether it will end leaving with no deal. There may be one more Third Meaningful Vote before the end of March 2019. This is the most likely outcome of the developments this week. What the outcome of a Third Meaningful Vote will be is anybodies guess! However it will be incredibly close on whether the revised Brexit deal will eventually be voted through by the UK parliament. UK MPs should remember that the best deals involve a win win for both parties not a lose lose win lose or lose win for the European Union and UK. If the revised Brexit deal is not voted through and Brext with no deal is taken off the table then there must be a General Election in UK to revise the make up of the UK parliament. Then the new parliament must work on a revised Brexit deal. To revisit the Referendum before the last Referendum result has been implemented would create greater social and political damage which would continue for longer. Not only is it likely to result in a call for a third Referendum result but it would lead to another Referendum on Scotland leaving the UK. All of these options would create greater chaos for business and economy for years. The only option which will protect short to medium and perhaps long term business environment is to accept the Brexit deal currently on the table. The Office for National Statistics ONS reports the amount of goods sold rose by 4.2 percent in January year on year the biggest annual rise since December 2016. UK consumers show that record employment levels and rising standard of living will keep them spending regardless of Brexit. Wages continue to outstrip inflation indeed as inflation rate slows and wages increase faster the UK standard of living is accelerating. French construction group Vinci is buying a majority stake in Gatwick airport for 3 billion pounds. It is expecting Gatwick airport to be busier than it is now whether Britain leaves the European Union EU with a deal or without a deal. Current Gatwick owners Global Infrastructure Partners GIP will sell a 50.01 percent stake to Vinci Airports. Vinci Airports has over 40 airports globally across Europe Asia and the Americas. Gatwick is already the UKs second biggest airport and the 8th busiest airport in Europe by passenger numbers. However Vinci Airports will need to get significantly more than 3 billion pounds out of Gatwick purchase before it can start to turn extra value out of the investment. Where will it come from if Brexit crashes the UK economy? The Sun newspaper is reporting behind the scenes discussions at UK government level to agree an EU UK Plan B when Plan A fails to get approval in the UK parliament. Norway EFTA Plus deal most likely end result of Brexit negotiations by March 2019? Plan B is for the UK to join the European Free Trade Association EFTA. The Sun says government Secretaries on Remain and Leave side of the argument Michael Gove and Amber Rudd are trying to set up the UK joining EFTA temporarily enroute to eventual full Brexit. Such a plan is likely to get through the UK parliament with with help of scores of Labour MPs at the expense of Conservative party unity. Brexiteers in the Tory party are unlikely to vote for EFTA. Would enough Labour MPs back an EFT Plan B deal to make it work if the EU agreed to enter such a Plan B? The EU says there is no other deal it is prepared to sign. Would Germany and France really face up to a no deal Brexit after appeals within UK for General Election and second referendum fail if there was a viable Plan B EFTA deal on table proposed by UK? Would the existing EFTA members let the UK in enroute out of the EU? Would an EFTA deal result in the formal split of both the Labour party and Conservative party in UK? Would the UK left and right politicians come together in a new UK party occupying the centre ground to become a viable third party in UK politics? Maybe UK political uncertainty has not yet peaked! The rubber stamping of the deal took less than 40 minutes at the meeting of EU27 leaders. However 20 months of negotiations is now at an end according to EU27 leaders and UK. The agreement has yet to be agreed by the UK Parliament. The UK is scheduled to leave the EU on 29 March 2019. European Commission President Jean Claude Juncker said anyone in Britain who thought the EU27 bloc will offer improved terms if MPs rejected the deal would be disappointed. UK General Election where membership of the EU will be a critical element of the decision though it is not known what the Labour party in UK will have in its manifesto in such an event so how could voters choose which party to vote for. Last General Election 85 percent of UK voters voted for partys which wanted a Brexit. Another Referendum on membership of the EU but what would be on the ballot. More than one option? Deal or no deal? Deal or Remain part of EU? Another Brexit deal negotiation with EU on basis of UK parliament voted down first deal. However the EU27 say there is no other Brexit deal except no deal. No politician in UK parliament or who has left parliament or any political commentator knows for definite what will happen if the UK parliament does not back the EU deal on the table. However most say that the EU deal will not get UK parliament approval ever. If a General Election in UK or another Referendum did happen that did not have a clear cut decision what would happen? If another Referendum was to switch to Remain in EU what happens next a third Referendum best of three? In either of the the above voting processes what damage would UK society and economy suffer? One UK MP was killed during the last Referendum and many people were threatened with their lives. The least damaging route in short term is for the UK parliament to back the EU UK deal on the table. Whether that is in the long term interests is not clear. The only thing that is certain is Brexit uncertainty is reaching its peak. German industry association BDI has warned that both German and British companies are staring into an economic abyss if there is a no deal Brexit. The remaining EU27 countries export more to the UK than any other country. More than to China or USA. Germany exported 84 billion euros worth of goods to the UK in 2017. According to UK industry leading CEO a no deal Brexit would not be a disaster for the UK economically. Next Plc chief executive Simon Wolfson was speaking to BBCs Andrew Marr when he concluded that although a no deal Brexit would not be the ideal outcome it would not be a disaster for the UK economy. He did encourage all UK business leaders to get prepared for a no deal Brexit. He feels that such preparations would help the UK government secure a good deal with the European Union EU. A no deal Brexit could reduce the whole European Unions EU economic growth by 1.5 percent. A standard free trade deal of the type agreed between Canada and the EU could cause EU economic growth loss of 0.8 percent. A soft Brexit with the UK out of the customs union but retaining access to the single market and agreeing to abide by EU rules would imply almost zero cost for the EU as a whole IMF Report. David Davis Brexit Secretary and Boris Johnson Foreign Secretary resign from UK government over the Brexit policy decisions taken by Prime Minister Teresa May. Trade figures released by UK government revealed that in the 12 months to March 2018 UK exports were at an all time high. EU countries represent around 40 percent of all exports from UK. Research from Barclays Corporate Banking found that around two thirds of consumers in India and China and around half of consumers in the UAE were prepared to pay more for goods made in the UK because they perceive the quality as higher. The trade deficit with the world continued to narrow to 80 billion pounds which is the narrowest UK trade deficit since 2012. The UK Department for Trade and Industry DTI has set up 14 trade working groups covering 21 countries to scope the UKs overseas trading deals and strengthen ties with key trading partners. Tech company Salesforce have voted in the UK with their 2.5 billion dollars of their money by announcing a massive investment in the UK over next 5 years. It clearly thinks it can grow further in UK and it could not do that unless the UK economy is strong. Amazon is to create another 2500 jobs in the UK bringing total workforce in UK to 27500. Google Apple Snapchat and other global tech companies continue to invest in the UK economy. 11th June 2018 Where In The World Got The Highest Foreign Investment in 2017? Despite Brexit the UK is still the place most overseas investors want to invest their money compared to rest of Europe. Many in the City Of London now believe the remaining European Union EU members will go for easy access to financial market in London based on increased equivalence to prevent disruption to business anywhere in EU. Vauxhall plant in Luton chosen by PSA Group to manufacture a planned new van. This demonstrates confidence in UK of a major automotive maker post Brexit. Brexit negotiators Michel Barnier and David David announce they have agreed term for a transition period in a major breakthrough “decisive step”. The transition period will run from 29th March 2019 to December 2020 and may lead to the orderly withdrawal of the UK from EU. In addition, there was also an agreement on the rights of EU citizens in the UK and the rights of UK citizens in the EU. EU member countries have still to sign-off the agreement on the transition period, perhaps at an EU summit this week. If the EU members agree, then the negotiators will move on to discussions on a permanent future relationship agreement by August 2018 with a view to Brexit in March 2019. The financial markets liked what they heard and the pound jumped in value. Sales expectations of SME factories in UK are near 3-year high due to strong global economy growth and low value of the pound. Deutsche Bank is headquartered in Germany had has told reporters that it will not need to move thousands of UK jobs to the continent post-Brexit. Stefan Hoops, head of Deutsche Bank’s capital market division in Germany explained that they would need to move fewer staff than many have said in the past. One executive previously said 4,000 staff would need to move but the numbers would actually be in the hundreds. Last week Deutsche Bank Chief Executive was reported as saying that initially several hundred jobs would be created in Frankfurt, Milan and Paris but that is not the same as moving jobs from London. It may take three years or more, but contrary to the EU’s chief Brexit negotiator, Michel Barnier, it is possible if the remaining EU27 are prepared to agree such a free trade deal with UK. Sam Woods, the Bank of England’s deputy governor in charge of Prudential Regulation Authority PRA says a three period to agree a free-trade agreement including financial services could happen because unlike other countries seeking such a free-trade deal, the UK’s financial services are already aligned in terms of financial services rules and supervision. Sam Woods comments came during his appearance in front of MPs on the Treasury Select Committee. The City Of London EU envoy, Jeremy Browne, has been reported as saying that banking, insurance and asset management job losses to the European Union (EU) may not be as severe as suggested by many including the UK’s ex-Chancellor and now editor of Evening Standard. It may end up for quite a lot of them being a bit less dramatic that it might appear Jeremy Browne told a press briefing in London. 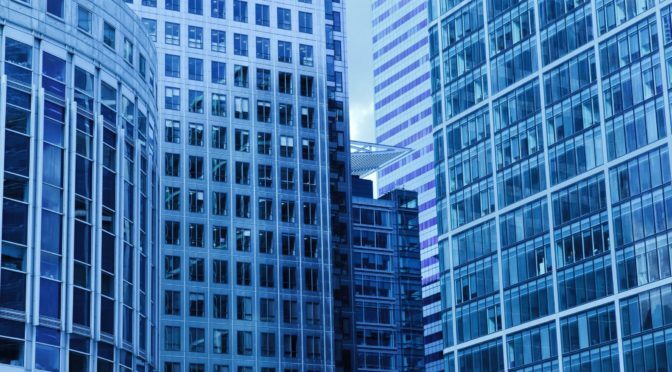 What Are The Real Risks To Financial Services Industry In UK From Brexit? 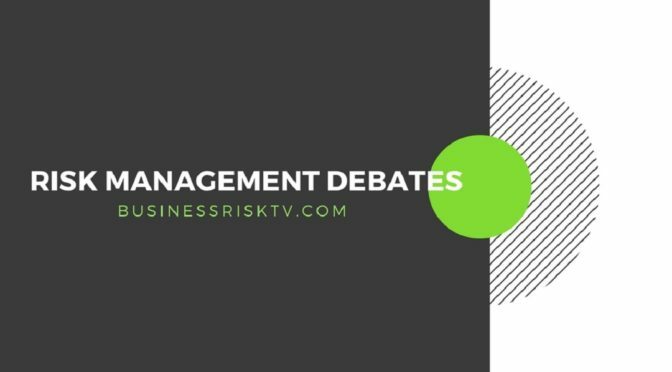 Tune into BusinessRiskTV to debate the threats and opportunities from Brexit for Financial Services Industry CLICK HERE and enter code FINANCIAL SERVICES INDUSTRY BREXIT. The Brexit result was a shock to everybody? Most people were shocked, but that doesn’t mean the implementation of the Brexit vote will be bad for business. The UK may yet not leave the European Union EU. Great forces will try hard to stop the democratic vote of the people being fully implemented. The people may even change their minds. Anything is possible. Increased risk means increased opportunities for growth as well as increased threats. 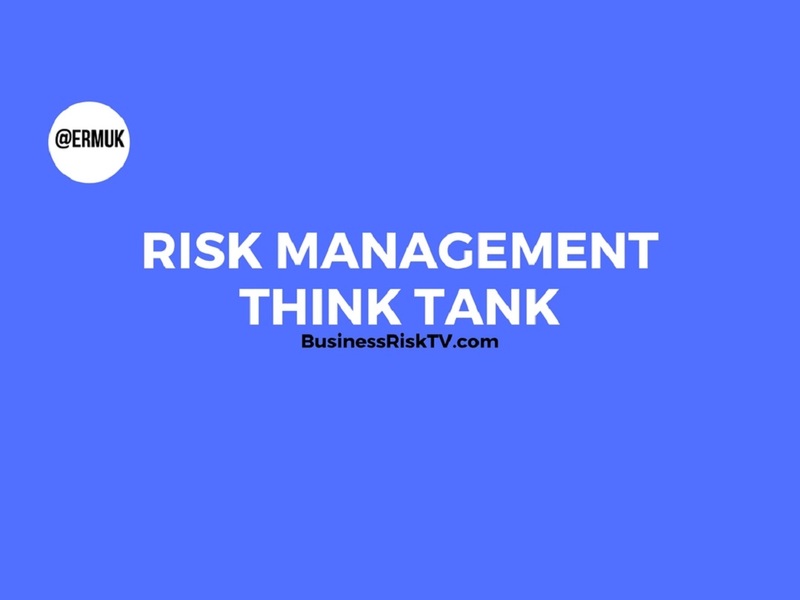 We do offer enterprise risk management (ERM) services, but Brexit Risk Watch is an attempt to provide free impartial advice on how to manage the threats and opportunities from Brexit better. Enter BREXIT RISK WATCH in contact form. 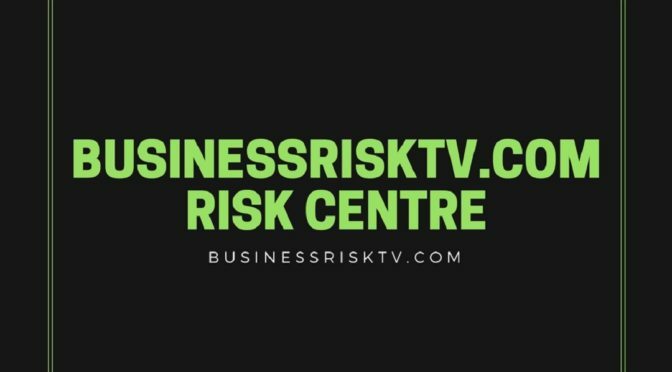 By submitting form you’ve submitted your info to BusinessRiskTV.com and its business partners, and agreed to us contacting you about Brexit Risk Watch. If businesses invest their time and energy in controlling the threats from a Brexit and seize the opportunities the UK will benefit from a Brexit. If business leaders can not change or do not have an innovative mindset a Brexit could be bad for the UK economy. Access latest Brexit news opinions risk analysis by completing the form below and entering BREXIT. 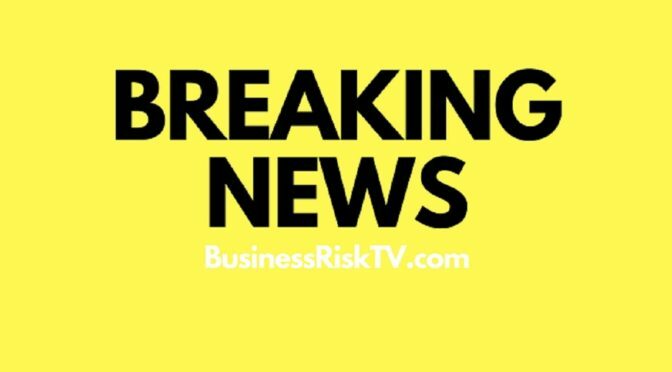 By submitting form you agree to submitting your info to BusinessRiskTV who will contact you regarding Brexit news opinions risk analysis. How can CEOs senior management teams risk managers business owners and entrepreneurs make the right decisions more often? Find out whats on the horizon. Understand better the business risks acting on your business right now. How do business enterprise key decision makers use limited resources more cost effectively and more successfully ? The pace of business change is increasing. How many people will drive for a living in the next decade? How many people will work in warehouses in next 10 years? What new risks are emerging for businesses when the dramatic changes of 4th Industrial Revolution expected soon are commonly in place? 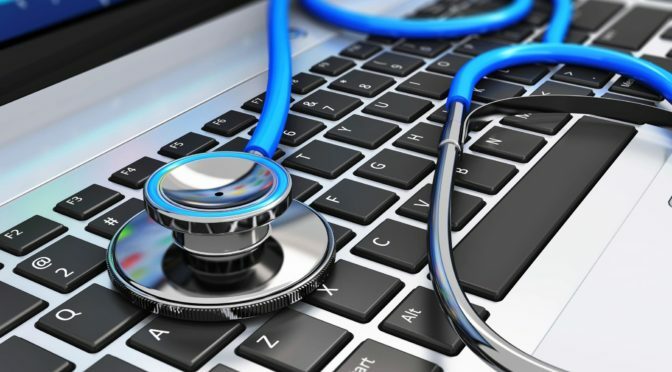 Cyber crime or error is just one of the threats. How should a business like Amazon react if they are threatened by a cyber criminals who say they have the capability to shut down its warehouse and distribution drones! They presumably have not but even if it was never possible how would Amazons share price react? What will this mean for Amazon’s ability to borrow to invest in its future? Like Amazon every business has its own most threatening risks and most exciting opportunities to grow. Both the threats and the opportunities mean rapid changes are afoot for most businesses in the coming decade. With limited resources, what should your business focus on? Do you have the time and energy to cope especially with information overload disrupting your ability to pick the right key risks to manage and which to accept or avoid. Are you innovative? Is your business innovative? Do you have people in your business who are innovative? Sure you are! Yes it is! Yes you do! You may not have found the best way to harness a well of innovation in your business till now. Get the answers you need to know what to do next that will have the best net positive impact on your business. 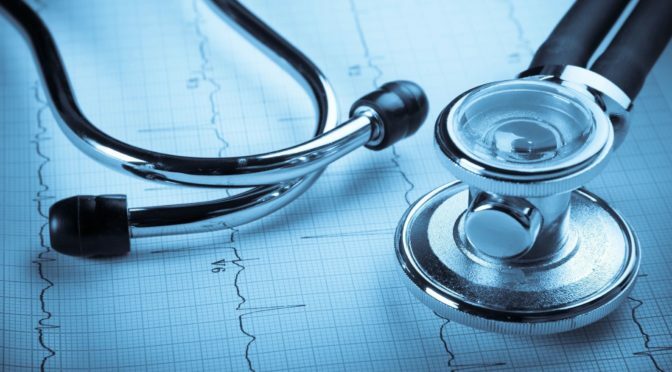 What are the critical risk factors you need to manage? How viable are your existing business opportunities? Some corporate risks are mature and well known but how does YOUR business manage them in the most cost effective way? Other corporate risks are just emerging. Do you know which ones present the biggest threats and opportunities for your business? If you know what the key risks are do YOU oversee the impact on your business or have you delegated it? Do others in your organisation want to seize a business advantage of your competitors as much as you do? Do your competitors want any of your existing business revenue? No you can not do everything yourself but are you creating the right risk management culture to ensure that others are of the same mind as you? If you are not changing your failing! Do you currently have a sustainable business model? Have you assessed and managed your competitive advantages to squeeze the best out of your existing resources in terms of performance? Do you have a Business Enterprise Risk Management Road Map to make achieving your business objectives more likely? 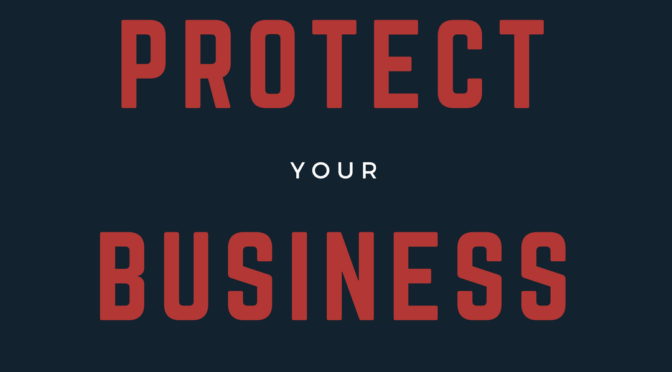 We feel we can help facilitate your better business protection and faster business growth. Get the best out of your present business assets. Develop a new business strategy for success.